Post-birthday/citizenship slump - Getting where? So I gave myself a posting deadline off for my birthday, which isn’t the end of the world or anything but it’s already killing my momentum. To be fair though, I’m just really freakin’ exhausted. 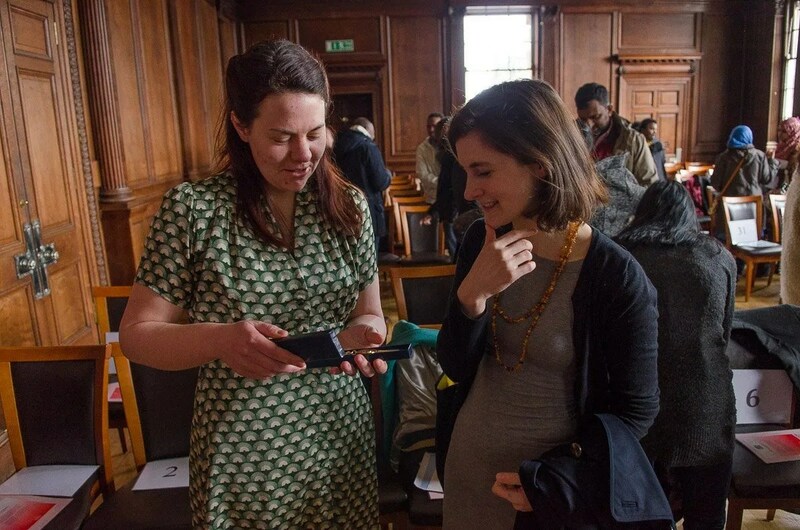 Inspecting my key to Edinburgh with Kristina post-Citizenship ceremony. Getting citizen-ised is hard work, OKAY GUYS? It’s been a bizarre, full-on week. I have probably pushed myself too far, emotionally and physically. I became a citizen, which is great but also really weird. I had a kind of off-kilter day on my birthday that started with a quite concrete reminder of the concept that I could get hit by a truck tomorrow so I better keep doing awesome things, so I was slightly freaked out. And there were a few other challenging moments peppered throughout the past seven days. Add to all that it took most of the week to recover from my first full Saturday afternoon in the pub for a good long time last weekend (WORTH IT, but at this point one of the only true reminders of my real age, oof), plus I did an eff-ton of dancing, which was probably the best bit but also left me feeling I’d been hit by a train come Friday. I’ve spent the weekend walking around the city, hanging out with my favourite greyhound, cleaning the pit my flat has become while I’ve been out living, and thinking about ALL OF THE THINGS that have cropped up in my brain this week. It’s a lot of things. I’ve been unable to focus on anything long enough like reading a decent chunk of a book or watching a whole episode of EVEN The Good Wife without getting restless and distracted. It has also made me procrastinate-y about writing. BUT I got this totally amazing book from my friend Kate for my birthday, Travel Listography . 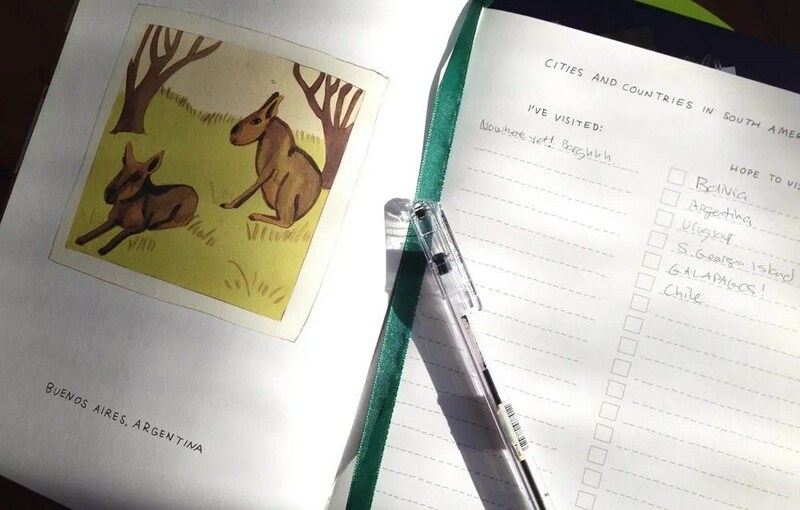 It’s basically a bunch of ideas for travel-themed lists to make yourself, but the illustrations are so, so great and Kate mentioned when she gave it to me that it might help give me ideas for the blog. Which at this point I REALLY need, because I feel like I’ve run out of steam a bit. And I think it will actually help, so hooray! I love me some lists. When I opened the book the first time, this is the page I landed on. CAPYBARAS. I love them. They must be my spirit animal. It’s also approaching that time of year when money happens at work. This being the first full year I’ve worked in a place where you get a bonus, it’s kind of a novelty. But obviously a nice one, as it’s going to pay for my citizenship and make a proper start for my Trans-Siberian fund, so I can start doing some real planning and scheduling. That should help snap me back into action on everything.